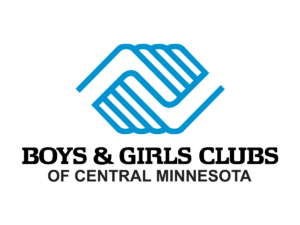 Boys & Girls Clubs of Central Minnesota is pleased to announce that, in the spirit of back to school, The Norman C. Skalicky Foundation is awarding Boys & Girls Clubs of Central Minnesota $250,000.00 to support academic success programs provided year-round. Funds will specifically support Project Learn, an educational strategy provided at all three Clubs and 15 KIDSTOP sites in all areas of programming. This strategy is a multi-pronged approach to help kids learn, whether they are in the gym playing basketball, in the art room painting, playing strategy board games, making music or dancing. Project Learn enhances the skills and knowledge young people learn during school hours using the following components: Power Hour homework help and tutoring; high-yield learning activities; school partnerships; incentives, and; parent/volunteer involvement. Staff will use funds to purchase enticing incentives for youth as they complete their homework and tutoring throughout the year. They will also boost STEM (science, technology, engineering, math) programming as a result of this support. In addition, funding will support a partnership with the St. Cloud Area School District’s Apollo High School, assigning Roosevelt Boys & Girls Club as an official site for students who need technology support on the days they are not reporting to Apollo this fall. Students will be reporting to school every other day through October while cleanup takes place, due to a fire that took place this summer which caused smoke damage to 40 classrooms. Next Next post: Boys & Girls Club is hiring!